After learning about onocognes in class, I became interested in their role in glioblastoma. After doing some research, I came across this article. The article is about the role of c-Myc in cancer cells. The hypothesis is that c-Myc in cancer cells contribute in cancer cell proliferation and growth. The article mentions that the role c-Myc plays for cancer cells is the same role it played for normal cells, sounds like c-Myc switched over to the bad side. 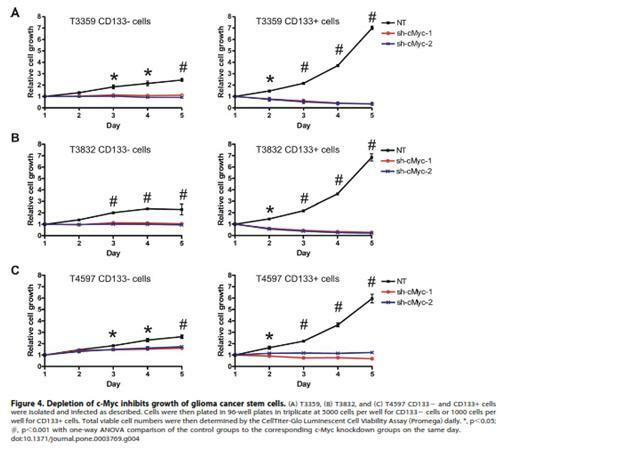 The reduced levels of c-Myc indicate that they were incapable of supporting growth, survival, proliferation, and tumorigenesis of glioma cancer stem cells. The reduced cells of c-Myc shows weakening of cancer cells, so this would be a great target for treatment for glioblastoma. 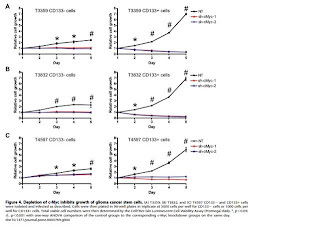 From the paper, figures 4 and 5 provided the most compelling results of the effect c-Myc has on cancer cells. 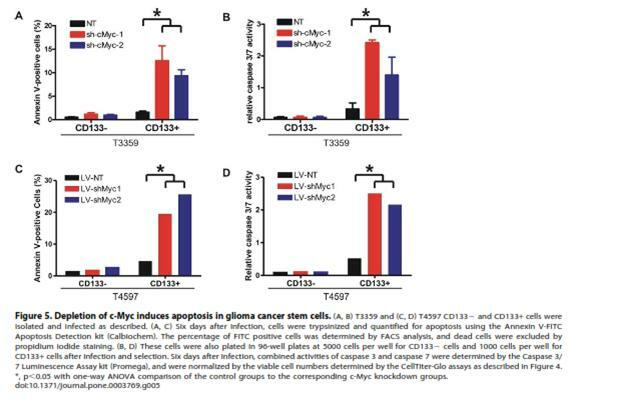 Figure 4 beautifully shows that there is a higher expression of c-Myc in glioma cancer stem cells, which implies an importance of having c-Myc. To further verify this, there was a loss of c-Myc in the cells to see the “importance” they have. 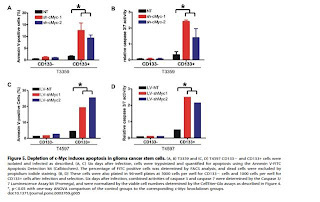 Figure 5 data shows that c-Myc is a survival factor for glioma cancer stem cells and loss of c-Myc induces apoptosis of the cancer cell. The results are absolutely phenomenal because the paper provides solid proof that c-Myc plays a crucial role in glioma cancer stem cells. The next step is to find a way to inhibit or reduce the expression of c-Myc in glioma cancer stem cells. It is interesting that glioblastoma is not the only cancer that has c-Myc. So it is extremely beneficial to find a treatment that can disable the function of c-Myc. This brings up the question whether it is possible to find a treatment that disables the function of c-Myc in not just one cancer, but in multiple cancers?